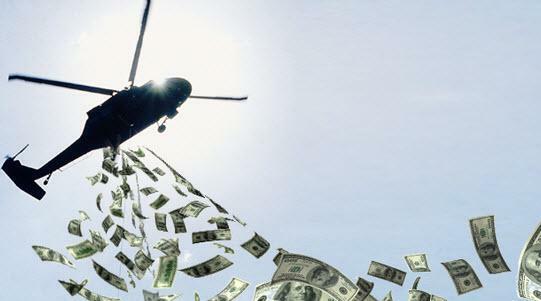 The Department of Defense (DoD) has a plan to supply American-made helicopters to Afghanistan and it’s a great deal for almost everybody but the taxpayer, who is on the hook for over $800 million for the first batch of helicopters, and that’s just for starters. DoD intends to wean the Afghan Air Force off the Russian Mil Mi-17 “Hip” transport helicopter, which has served the Afghans well, and replace it with the MD-530 “Cayuse Warrior,” a short range, lightly-armed scout helicopter, and the H-60 “Black Hawk,” a troop carrier. The U.S. military was initially disposed to keep the Hip in service, but Congress demanded contracts for U.S. firms and forced the Pentagon to cancel plans to buy Russian helicopters, so DoD devised a plan to equip the Afghans with U.S. gear. DoD returned to Congress with improbable news that an Mi-17 cost $20 million, while a refurbished H-60 could be had for only $6 million. The Pentagon also discounted the Hip’s significant cargo capacity, its ability to carry substantial armaments while ferrying troops or cargo, and its use for close air support. But the politics are first-class. The helicopters supplied to the Afghans will come from the National Guard, which will get new helicopters from the Army, getting the governors and adjutants general behind the effort, in addition to congressional delegations from the states supplying the airframes, avionics, and engines. The only problem is the timing. It would take too long to get the National Guard H-60s to Afghanistan via the “certified pre-owned” route so DoD will fill the gap by buying more MD-530s, which are already in Afghanistan, and which the Afghans compare unfavorably to the Russian Mi-35 “Hind” gunship, and would struggle to maintain. Actually, the Afghans won’t “struggle” to maintain the MD-530 as the U.S. is paying for a logistics support contract, just as it is paying to support their fleet of Mi-17s, C-130 and C-208 cargo aircraft, and A-29 attack aircraft. The struggling may come later as the contracts had no provision for training the Afghan mechanics, ensuring steady income for the contractors. And some of the maintenance occurs outside Afghanistan, delaying the return of the aircraft to active service. The DoD Inspector General wrote that this will “prolong Afghan dependence.” But for the contractors, that’s not a bug, it’s a feature. The Afghans perform much of the maintenance on the Mi-17, and were steadily building their skills, but that’s also because of their prior experience with the aircraft not just U.S. doing. To its credit, the coalition forces recognized this deficiency and put training contracts in place, but why weren’t there training provisions in the original contracts? And those contracts aren’t just stunting Afghan capabilities. Assuming many capable American technicians are lured to Afghanistan by high pay, our U.S.-based C-130 and MD-530 fleets may suffer safety and operational shortfalls. But if worse comes to worst in Afghanistan, at least the Taliban will inherit some well-maintained equipment. So, on top of fighting a bloody terrorist insurgency, the Afghan Air Force will have to transition to two new aircraft, provided they can find the pilots, and in combat conditions, as there is no rear area in that benighted country. The transition may require training in the U.S. which will take experienced Afghan pilots off the battlefield. And the transition-during-combat will likely lead to increased losses, hurting morale and straining an already undermanned cadre. Afghans sent to the U.S. for training have a tendency to go AWOL or seek asylum. In fact, the first female Afghan helicopter pilot trained in the U.S. did just that, causing red faces all around. And Afghan pilots who decide to leave the military and are qualified on the Mi-17, MD-530 and H-60 will be attractive to companies such as offshore oil and gas helicopter operators who will appreciate the opportunity to poach them and continue the military's tradition of training everyone else’s pilots at taxpayer expense. We’re here because Congress was angry at the Russians for working with people like Bashar Assad. The Pentagon responded but its options were limited. Instead of giving Russia a piece of the action and making it publicly accountable for something in Afghanistan, it has been incentivized to do what it did in Syria: bide its time, then act as the spoiler. If Congress wanted money in American pockets, it should have pressed for infrastructure or natural resources contracts where the risk was limited to the private sector and failure wouldn’t have the strategic penalty of a struggling Afghan Air Force.